As the maple syruping season winds down, Indian Creek Nature Center is sharing the first harvest of the year with the community this weekend. The daytime temperatures have been unseasonably warm, in the 60’s and 70’s, and the night time temperatures have also been unseasonably warm, in the high 30’s and mid 40’s. Without the nights getting below freezing, the trees have produced a modest 280 gallons of sap-only enough to make about 6 gallons of syrup. Maple syrup boils at 219 degrees, or 7 degrees above the boiling temperature of water. 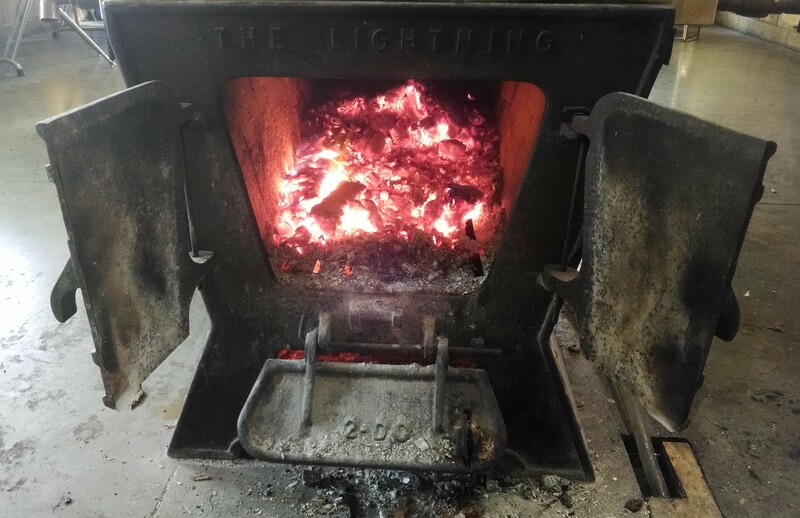 Wood, sustainably harvested at the Nature Center during restoration projects, provides the fuel for boiling. If you only have one or two trees to tap or lack a good thermometer, consider drinking the sap or using it to make soups and stews. It has great flavor and is rich in minerals. While the temperatures will likely get cold again, the silver maple trees are already budding out, signaling that the sugars (=good syrup) are changing to starches (=bad syrup). 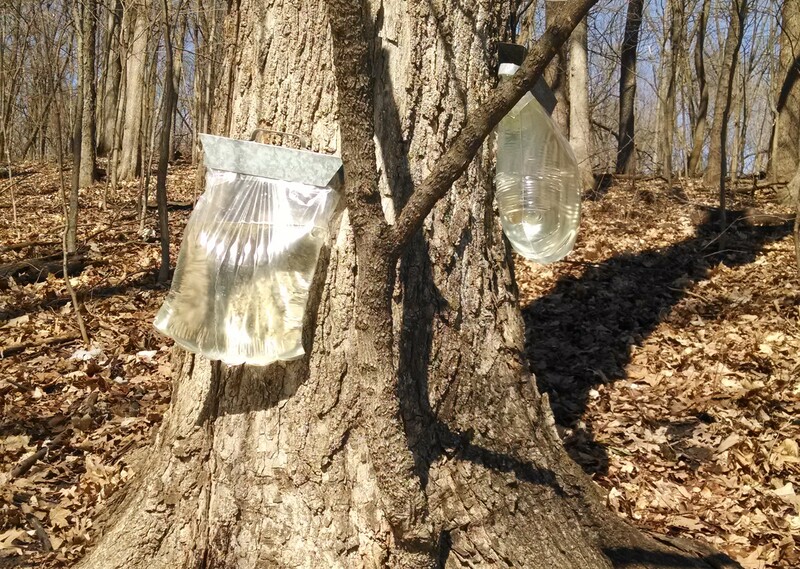 Many of the trees have simply stopped producing sap altogether. 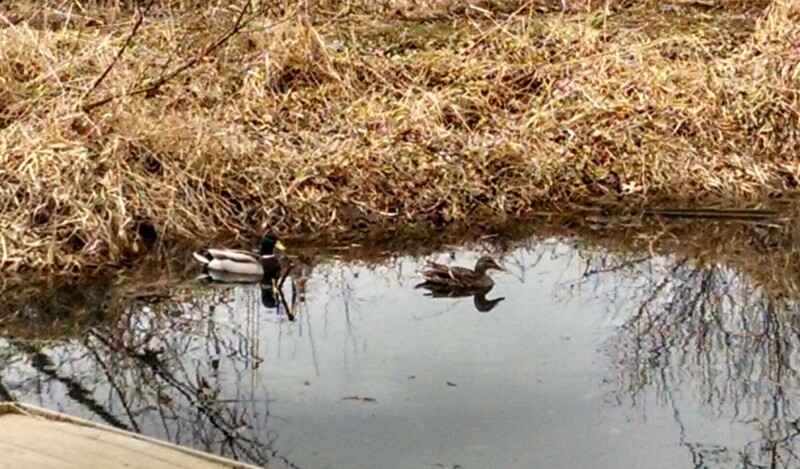 Mallard ducks are beginning to pair up. 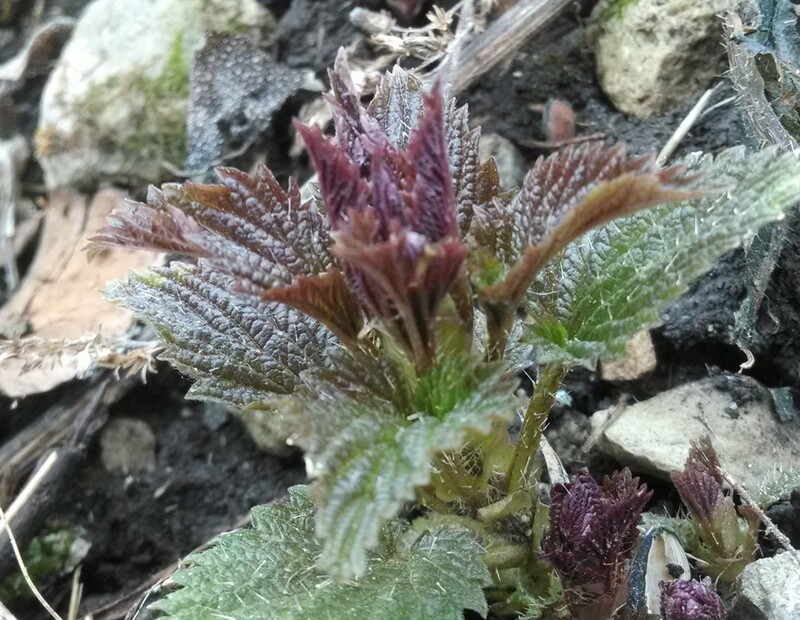 The syruping is ending, but the next wild edible to emerge-stinging nettle-is just beginning to poke through the softening ground. As spring progresses, keep an eye on the maples. Their flowers in March attract bees, and their sap attracts other things all year long. 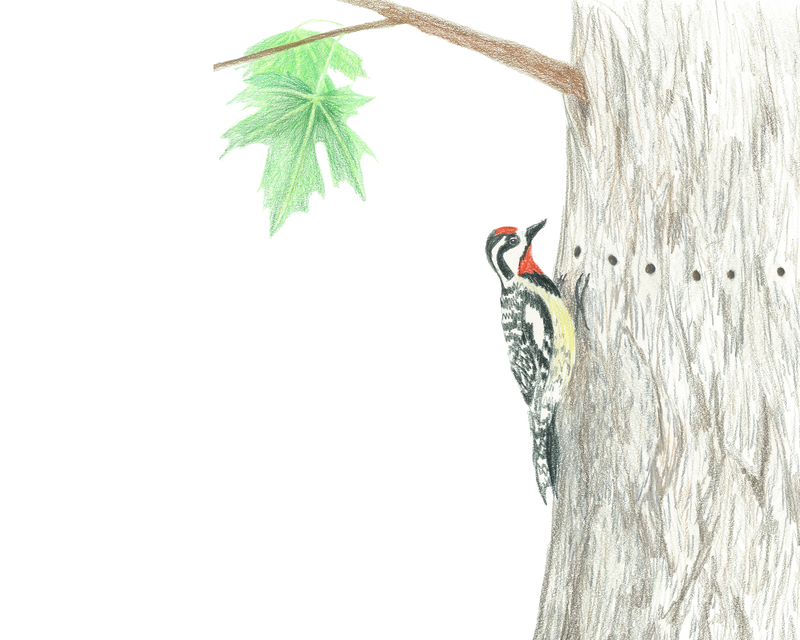 Yellow bellied sapsucker by Gabrielle Anderson from Hunting Red. This page contain affiliate links which help support the site. Click here for more information. 280 gallons of sap only equals about 6 gallons of syrup. I know I heard the ratio before, but it never fails to astound me! I just read that the Yellow-bellied Sapsucker prefers maple and birch trees. And sometimes hummingbirds will drink sap from the holes it has drilled.